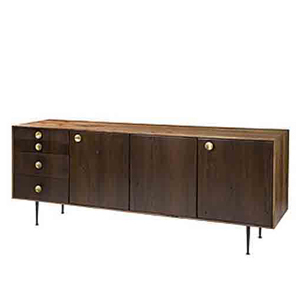 Dark and serious, the Stevens Dresser is a truly remarkable piece to add to your bedroom’s design. 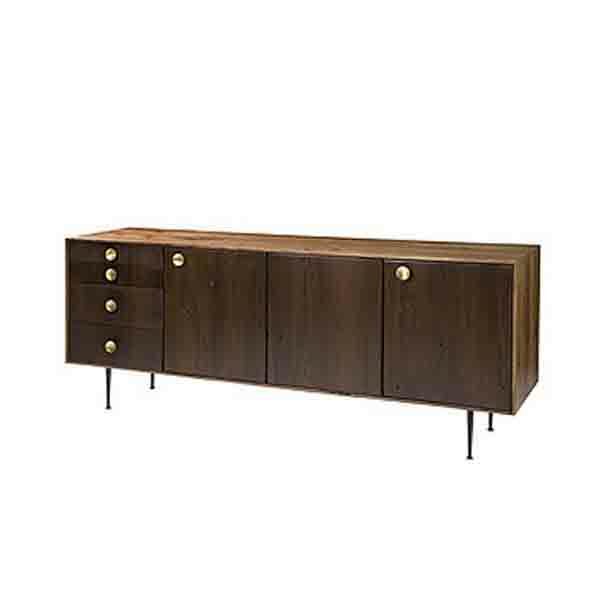 Its dark, black walnut front gives it a uniquely sophisticated look that is accented by small door knobs for each drawer and cabinet. Handcrafted from exotic demolition hardwoods, the Stevens dresser is not only functional, it is one of the most eco-friendly kind of wood furniture out there. Featuring 4 side drawers and 2 large cabinets, this dresser gives you plenty of space to store all your bedroom necessities! For your convenience, this item can be delivered to the room of your choice and any items requiring assembly will be assembled for you. All packaging will also be removed for your convenience. After placing your order you will receive a call to schedule a delivery appointment that works around your schedule in advance of delivery so you can prepare for your new items. Commonly called "white glove delivery", we offer the industries best delivery service to provide you with hassle free delivery of our beautiful Asian furniture items. Simply select the option to upgrade your delivery to White Glove.